Shoutout to my very good friend Jonathan Fairman for passing this one along. Browsing the internets, I often find these little adverts saying something about “10 Things You Didn’t Know About Your Name” or “10 Things Your Name Says About You”. They grab my attention because, as you all know, genealogy is kind of a thing that I do and I am curious where lots of names in my family come from. But where do countries names originate? We all probably know America comes from Amerigo Vespucci. But how about Mexico? 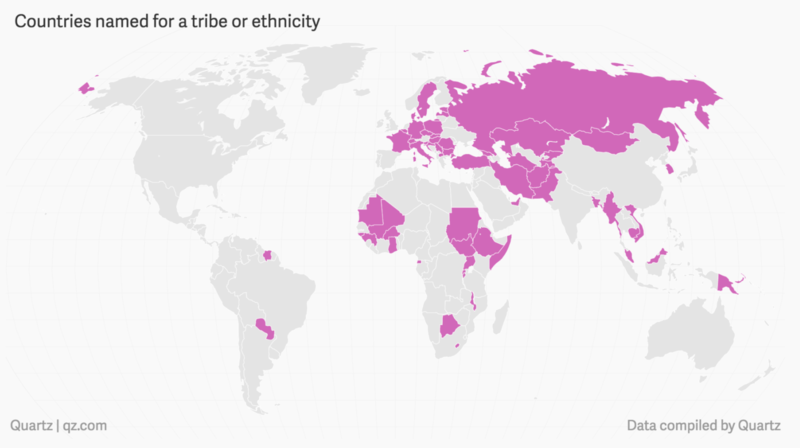 Thankfully Quartz put together a piece exploring country name origins. And it turns out that most can be grouped into four different types. Being named after a man, like America, well you guessed it, that’s one of the four. Credit for the piece goes to Thu-Huong Ha.